I walked to work today. It is already hot out. I really wish I had time in my day for a quick dip in the pool over at Pottruck, but unfortunately I am too busy writing this blog post. The next best thing, however, is looking at old pictures of people frolicking in the water at Penn. 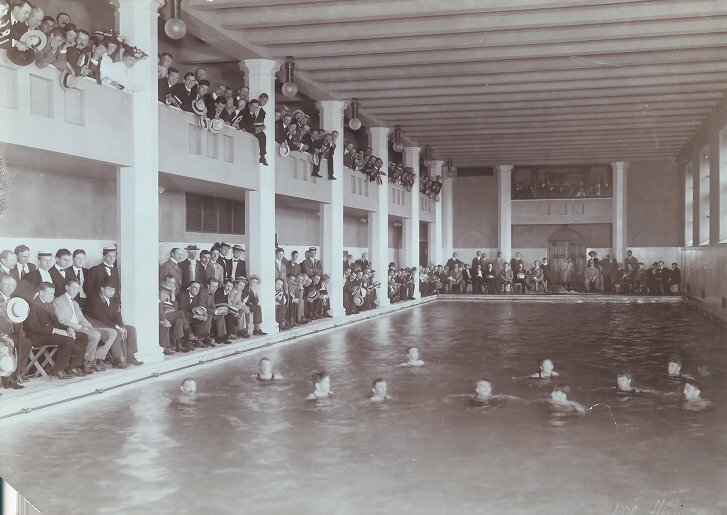 Here’s a picture circa 1905 of folks having a great time at the Weightman Hall pool. 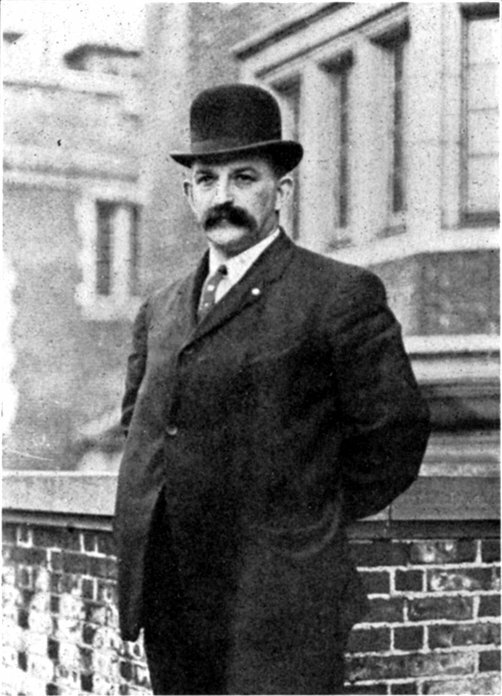 As I was poking around the university archives page, I noticed a dashing man in a mustache featured several times over. This was George Kistler, swimming coach for Penn from 1897 to 1934. He was the world champion of the open water mile in 1887, and apparently swam from Philadelphia to Chester in the Delaware river at one point. I’m not sure if I would want to do that even if I could, but hey, hats (and mustaches) off to you, George.